Ground forces Venezuela received on armament 42 all-wheel drive four-wheeled armored vehicles Tiuna Venezuelan production. On it Infodefensa with reference to the press service of the defense of Cavim (Compania Anonima Venezolana de Industrias Militares). In total, the Ministry of Defence Venezuela Order now for suhoputchikov 300 cars Tiuna. The respective agreement was signed in October 2011. As expected following the delivery of technology, not specified. Release of armored vehicles Tiuna began in 2004. According disk imaging Infodefensa, for assembly machines are used as a Venezuelan and imported from other countries components manufactured in the USA, Mexico and some Asian countries. 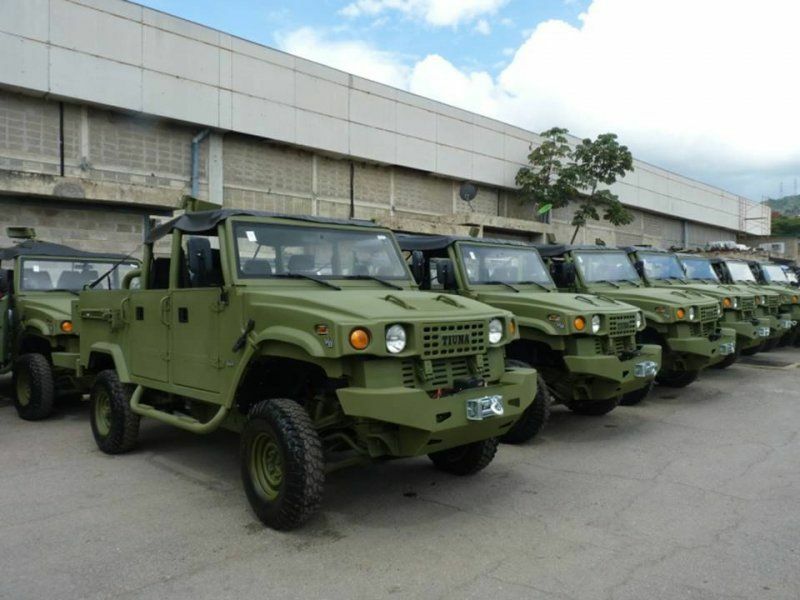 For the Venezuelan military Tiuna is available in several versions, including team, the communication and reconnaissance cars, and also armored car honey. At the armed car can stand guns 12.7 and 7.62 mm, and 106-mm guns, anti-aircraft missile systems and anti-tank missiles. In addition to armored vehicles Tiuna In service Venezuela are Russian BMP-3 and BTR-80 armored cars and amphibious China.